I know I’m a day late for my last Orange recipe. I tried so hard to get it posted yesterday but I just didn’t make it. This food photography stuff is a hard gig! 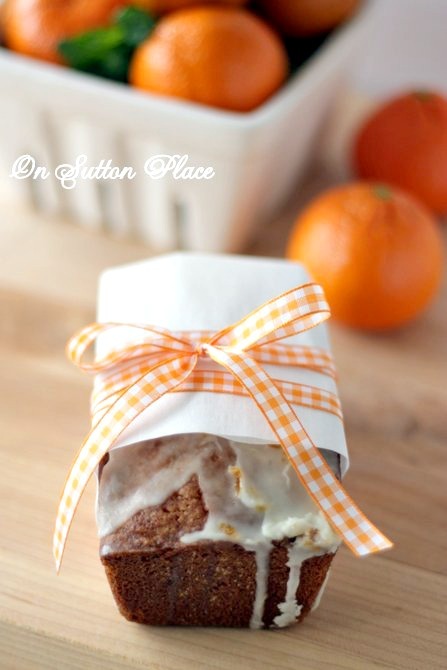 I think I may have saved the best for last with this Glazed Orange Bread recipe. It was fun to make and uses basic ingredients. It calls for the zest of 4 oranges which was really my favorite part of the whole thing! *Some links in this post lead to shops and websites (like Amazon) where I am an affiliate, or to eBay where I am a content creator. 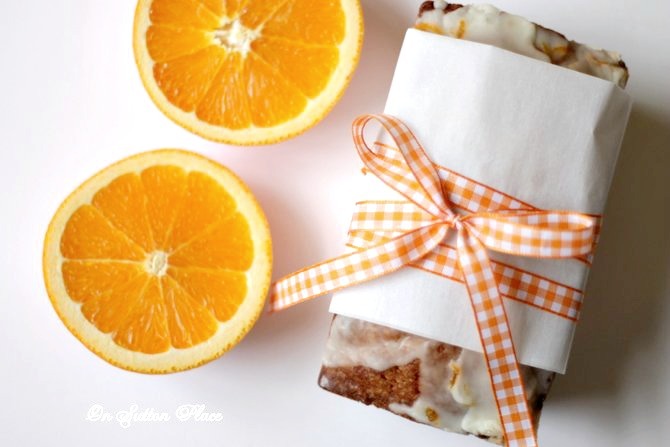 This glazed orange bread is unbelievably flavorful and moist. It ranks right up there with the Starbucks Lemon Loaf I shared last month. In fact, I’m not sure I could pick a favorite. They are both seriously good. I was able to get 8 mini loaves and 2 small loaves. If you use regular loaf pans there would be enough batter for two. Cream butter and sugar with a mixer for 5 minutes. On medium speed, add eggs one at a time. In a separate bowl whisk together 1/4 c. orange juice (juice of one orange,) yogurt and vanilla. Add flour and yogurt mixtures alternating in 3 additions. Fill prepared loaf pans a little over half way. Bake at 350 degrees for: mini loaves 20 minutes, small loaves 25-30 minutes, large loaves 45 minutes. Remove to wire racks on a cookie sheet. 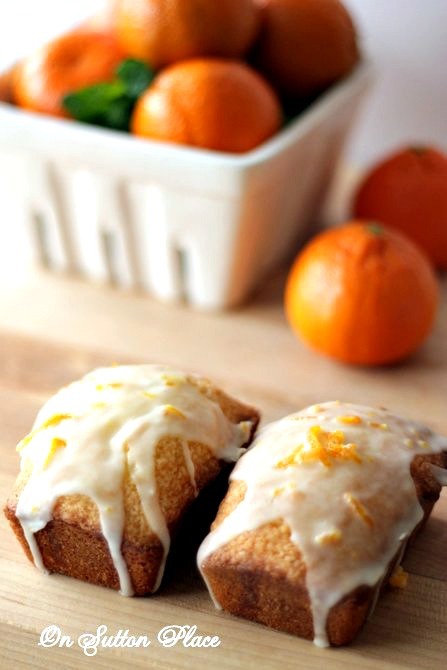 For glaze: mix 2 cups powdered sugar with 1/4 cup orange juice and remaining orange zest. Glaze should be pourable but not runny. If needed, add more orange juice/powdered sugar to get desired consistency. Pour over bread and allow to dry. I was tired because I didn’t even start until after dinner. For a brief second I thought to myself that perhaps the mess wasn’t worth it. However, that was before I tasted the bread. With my first bite I knew, without a doubt, that whatever I had to go through to make this bread was a small price to pay for the outcome. I will be making this bread again…and again. Once I started to clean everything up it went pretty fast and ended up not being so bad. I have a terrible habit of not putting things away and tidying up while I am putting a recipe together. I need to get better at that so I’m not so strung out at the end! 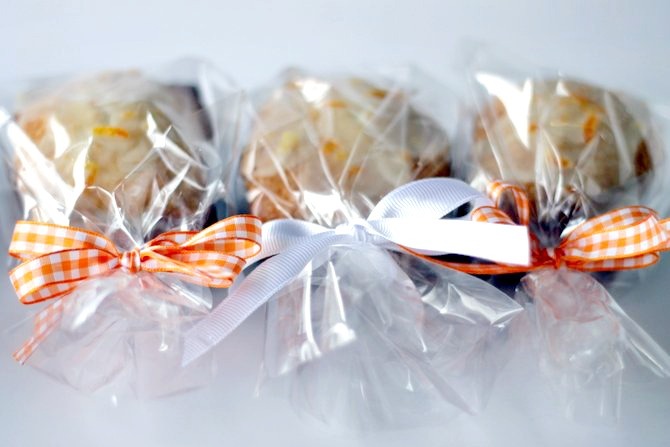 I packaged up the mini loaves in cellophane bags and will be delivering them to my parents and a few friends. I learned my lesson with the Orange Fluff. I will not be eating all of the orange bread myself. I’m not sure if I’ll be back over the weekend or not. I’m working on a giveaway with a very special blogger and need to get things figured out. This orange bread was such a distraction! Thanks for stopping by…hope you have a lovely weekend. I made this and my kids couldn’t get enough of it!! Thanks for the recipe. i made your orange bread yesterday and it’s wonderful. Re your comment to skip the syrup — I used an onion/tomato slicer with very small tines to pierce the bread. It helps absorb the syrup but doesn’t leave visible holes. Makes the bread doubly moist and yummy. This looks delicious! Great photos. I especially like your plate with the orange ribbon. So pretty! Found your recipe featured at One Project Closer. :) This looks delicious and your photography skills are amazing! Ann, I have loved your orange recipes, and this one “takes the cake”! ;) Groan! It really does look incredible, and your photography….to die for! I love the idea of mini loaves. And if I lived by you I would do the dishes for a loaf of orange bread. Oh! It looks so yummy….and your photos are fantastic! I must continue visiting your blog. 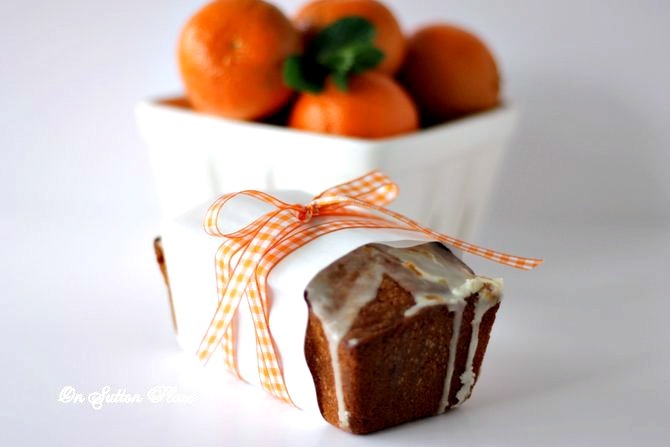 Your orange bread looks simply delicious and beautiful! And the packaging is lovely!!!! This orange bread looks delicious, Ann. I like the sweet citrus flavor of oranges in baked goods. Your photos look great! I love orange flavored recipes, Ann! Yes, I’ll be trying this one. Thanks for sharing. The rind makes bread so flavorful! You’re a pro with the packaging, too. It’s BEAUTIFUL!!! And by the way, your photos are really gorgeous! Pretty much any quick bread with that much butter in it would be good! And this recipe sounds amazing! I will pin it and when I get oranges, I’ll try it. Thanks! This certainly would appease my sweet tooth cravings, Ann! Love a citrus bread and this sounds wonderful. Ann my mouth is watering, now that I have an oven that works I’m going to have to give this a try! Wow, that looks incredible, Ann! I want some … right now! Do you deliver? :) And, your pictures are amazing, too … such detail and great lighting! Wow, can’t wait to try! Stopping by from Six Sisters, thank you for sharing!!! I love that this recipe calls for the juice and rind! Hate it when I have to use the rind of two lemons but only the juice of one. What am I going to do with one poor skinless lemon? Trying this for breakfast! beautiful, beautiful food photography! That bread looks pretty AND delicious! Pinning this for sure! and sharing with my Aunt who only does email because facebook is too much, haha! 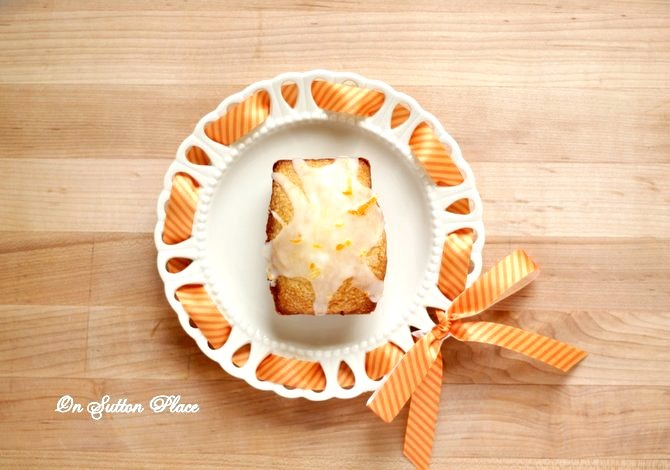 Ann, your lemon bread was such a big hit at my house that I will just have to try the orange bread as well. As for the sugar syrup, when I made the lemon bread I poked holes all over the top of the bread before I put on the glaze. I think you could do that with your orange bread before you pour on the sugar syrup. It makes the bread super moist. yum. Mini loaves are the cutest little things! 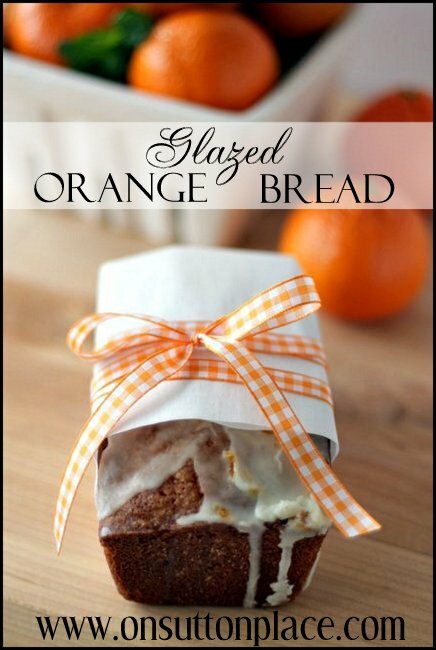 I love orange bread and this one sounds fabulous. BTW – amazing pictures. This looks so good. I’m passing it on to my daughter, who has a cooking blog. Check her out at Main St.Cuisine @ WordPress.com. I’ve been forwarding your blog on to her a lot. I really enjoy your blog. Oh Ann, these look so good. If I didn’t live in a travel trailer with a stove that really doesn’t work too well for baking I’d be making these right now!!! :-) Your photo’s are beautiful. Love the taste of orange…your presentation is so beautiful Ann!! Have a great weekend! Oh my gosh, Ann … your pictures are beyond gorgeous and that breads sounds SOOOO good! It’s almost too pretty to eat :) I need you to move closer to me so I can eat up all of your goodies! Ann, your efforts paid off in outstanding photos! Of course I pinned one to Pinterest! I’m wondering what your flavor for March will be! I had to pin this one.. looks so good! wow ann! this looks so yummy. and you pix are amazing!! (btw, where did you get your fabulous ribbon plate? You’re killing me. :) I simply LOVE anything citrus. I think I’m going to have to try both of your recipes just to make sure I don’t name a favorite too impulsively. Love the presentation too, and yes, food is a tough model, but you did a great job as usual. Ok, now you’ve gone and gotten me into the baking mood with all of your gorgeous photos. Seriously beautiful stuff! Love the pics, I think you have your new lens figured out. Everything looks so professional and should be in a food magazine. Love how you added the pic into the printable recipe:) Great touch! Do you need my address for shipping? ;-) Seriously, this looks and sounds delish! Who cares if you’re a day late ~ it’s the intent that matters. Your photos are always outstanding! That’s something I’m not very talented in doing nor do I have the patience. That is a keeper !!!!! This looks and sounds yummy. My husband will love this cake. Thanks. Oh Ann this looks seriously good! And your photos are stunning! Drool worthy! The bread looks adorable wrapped in the checked ribbon. I am making this ASAP! The photos!!! Seriously Ann…you are becoming a photo maven! Pinning and drooling and everything with an -ing that can be done!!! Love! Looks lovely and I love the orange check ribbon you used on the bags…ready for Spring! Ohhhh. Ann Ann I hope you sent me a loaf..no? Well dang- I will be pinning now so I can drool some more, and then bake these guys! WOW! Wow. 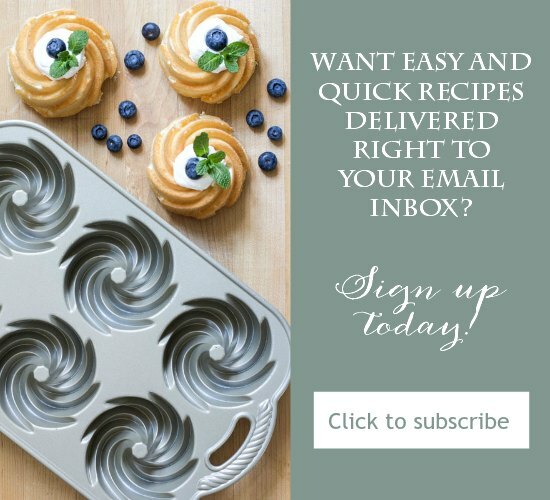 These look amazing… definitely will have to try this recipe! WOW Ann I can eat this right now for breakfast, if only I had a piece. That looks so good Anne! Ann. My mom spells it with the E, so it’s a habit.